West Valley City, UT (April 9, 2015) — Attorney General Sean Reyes spoke today at the 10th Anniversary of the Latin American Chamber of Commerce of Utah and discussed his Hispanic heritage and its influence on the leadership skills found within the business leaders in the Hispanic community. 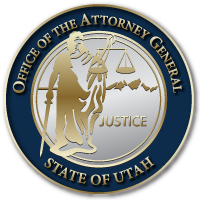 “I’m very proud of the work and the influence that this community has contributed and will continue to contribute to better the lives, opportunities, and standard of living for all Utahns,” said AG Reyes. The event took place at the Miller Megaplex in West Valley City, “a fitting location given the high number of Latino-owned businesses in the area,” mentioned General Reyes.